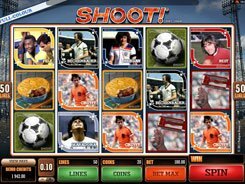 Good to Go is a five-reel nine-payline slot from Microgaming. 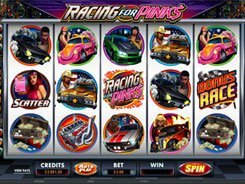 With its theme revolving around sports car racing, the slot offers some of the basic features typical of most 5-reel machines, including wilds, scatters, free spins and a gamble round. Surprisingly, the ranks of playing cards used in Good to Go begin with 7 and continue up to Ace, which is rare for 5-reel slots. Other icons incorporate car race-related symbols, such as tires, checkered flags, race helmets, etc. 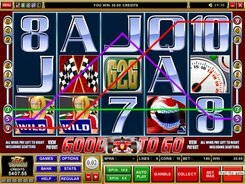 Regular payouts are fairly generous ranging from x2 to x2500 for three to five of a kind, but the biggest payer in the slot is a wild depicted by the Pit Girl. 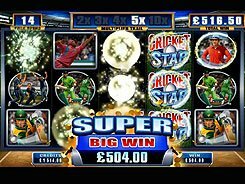 These five landed across an active line award x5000 times a bet. 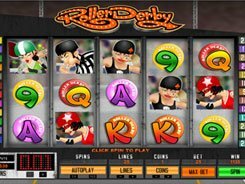 A wager per spin is adjusted from $0.01 to $90, so the maximum cash award reaches a fantastic $50,000. The free spins feature is activated by 3+ scatters, as is usually the case. But in Good to Go, scatters need to appear anywhere on three or more adjacent reels starting with the first reel, to trigger the feature. 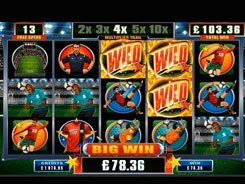 If you want to try to double or quadruple your winnings, click the Gamble button after a winning spin.